Newborn Simon and his parents during his 82-day stay in the NICU. 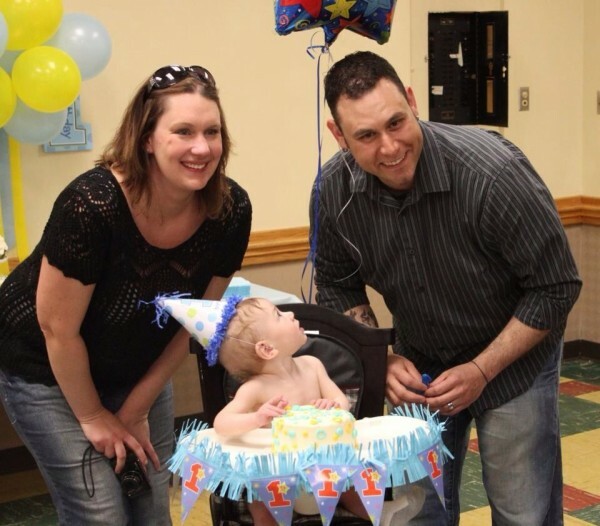 At 3 ½ years old, Simon Conger is a healthy graduate of Akron Children’s Neonatal Intensive Care Unit (NICU) who is still on the path to recovery. Nothing gets this little guy down, and this year he’s the featured patient for the 9th annual Walk for Babies, a big feat considering he’s been under anesthesia 28 times. Simon celebrating his 1st birthday. Simon and his fan club will walk with about 1,500 others in a family-friendly, 1-mile course to raise money and awareness for the unit that helped the Conger family during the first 82 days of Simon’s life. 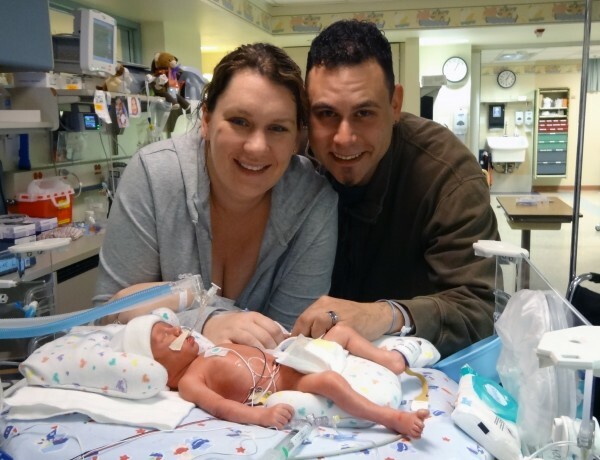 His parents, Molly and Clint, were told early into their pregnancy that he’d be destined for the NICU the moment he was born. Simon has esophageal atresia, a congenital defect where the esophagus ends in a blind pouch instead of continuing to the stomach. If left untreated, it can lead to nutrition deficiency and aspiration of food into the lungs. 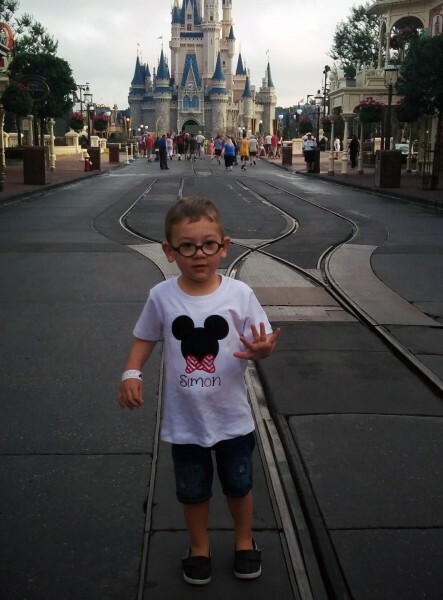 Simon in front of Cinderella’s Castle at Walt Disney World. Fearful and anxious, they had no idea what this condition was, or how it could be treated. Thankfully, Molly says, their worries were eased when Dr. Oliver Soldes, a pediatric general surgeon, took Simon under his care. 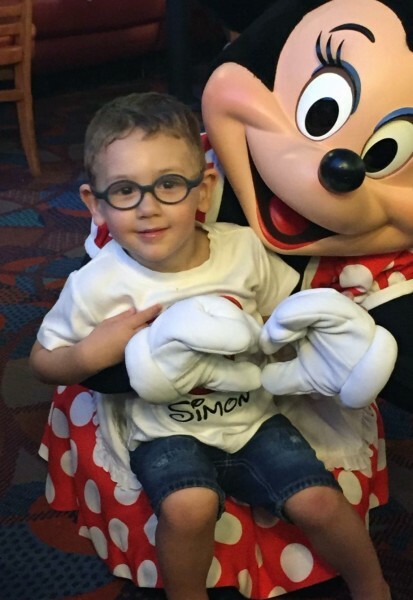 Simon also got to meet Minnie Mouse on his trip to Disney World. Appreciative of the exceptional care Simon received, the Congers are big supporters of Walk for Babies. Watch out for his team “Simon Says Smile” and hear the rest of his story at the event. Presentation and awards ceremony: 11 a.m. In addition to a non-competitive walk, the event features speeches, a raffle and a kids fun zone full of activities, games, entertainment and snacks. Sam and Shelby Snellenberger created the event in 2006 after their daughter, Amelia, spent the first 26 days of her life in the NICU. To show gratitude and help other families, they set a goal to raise $1 million for the NICU and established Walk for Babies. To date, the event has raised more than $600,000. This year’s goal is $102,000. To donate or attend, visit the website or email questions here. Follow on Facebook too.